Clean Coasts and Barefoot Wine present Beach Rescue Project in Strandhill. This event aims to create a fun and festive atmosphere whilst drawing attention to coastal issues such as marine litter and dune erosion. Learn about John and his story of learning to Think Before You Flush. To read more about the campaign please go to www.thinkbeforeyouflush.org. For the second time Clean Coasts have teamed up with Colm O’Regan (comedian and @irishmammies’ author) to help promote this initiative. Colm O’Regan, stars as empowerment and engagement guru, Benicio Sandz. An Taisce’s annual Clean Coasts Symposium & Ocean Hero Awards were held on Thursday 1st December atThe Westin Hotel, Dublin. Clean Coasts have teamed up with Colm O’Regan to help promote this initiative for National #2minutebeachclean Day which took place during Coca-Cola Clean Coasts Week 2016. 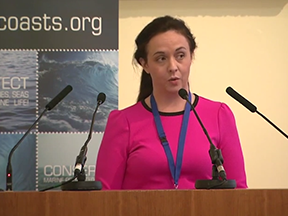 See all the wellbeing session speakers at our Clean Coasts Symposium and Ocean Hero Awards in our special video gallery. See all the ecotourism session speakers at our Clean Coasts Symposium and Ocean Hero Awards in our special video gallery. 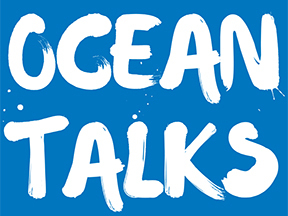 Clean Coasts was delighted to hold the world’s first Ocean Talks event to celebrate World Oceans Day 2015. The speakers were invited to speak about the link between their work and our blue planet. Watch them now in our special video gallery. Join Ireland’s largest coastal clean up! Clean Coasts Ambassador & Pro Surfer Easkey Britton urges us to tackle marine litter by encouraging us to take part in Coca-Cola Clean Coasts Week 2015 from May 8th to May 17th. Coastal Programmes Manager, Annabel FitzGerald, at Pathways Towards Sustainability – A Collective Conversation as part of the programme of events accompanying the group exhibition Welcome Disturbances, 2015, at The LAB, Dublin City Council , in partnership with UCD Art In Science. 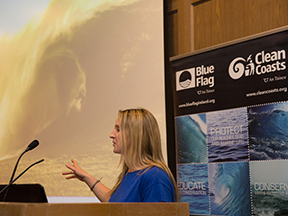 Clean Coasts Officer, Olivia Crossan, talking about An Taisce’s Coastal Programmes, Clean Coasts and Blue Flag, at the European Surfing Doctors Conference. See all the speakers at our Clean Coasts Symposium and Ocean Hero Awards talks in our special video gallery. Clean Coasts teamed up with European Association of Surfing Doctors for a beach cleanup at Strandhill, Co. Sligo as part of their Surfing Doctors conference. Mullaghmore Beach Clean took place with Martin Dorey founder of the 2 Minute Beach Clean, Clean Coasts group Mullaghmore Active, Clean Coasts Officer for the North West, Olivia Crossan and Coastal Programmes Manager, Annabel FitzGerald. Clean Coasts Ambassador Easkey Britton shows her support for the #2minutebeachclean. An initiative founded by Martin Dorey and supported by Clean Coasts. Interview with Clean Coasts Annabel Fitzgerald Ireland and Seamus Heffernan from greendivers. Clean Coasts Ambassador Easkey Britton shows her support for the #BigBeachClean which takes place on 19th, 20th & 21st September 2014 all around Ireland. 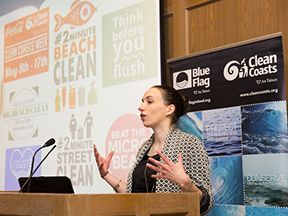 Clean Coasts was represented on the expert panel at the Irish National Marine Litter Forum. Coca Cola Clean Coasts Week was launched on Portmarnock beach on the 30th April with the help of Minister Fergal O Dowd and rugby legend Shane Byrne.